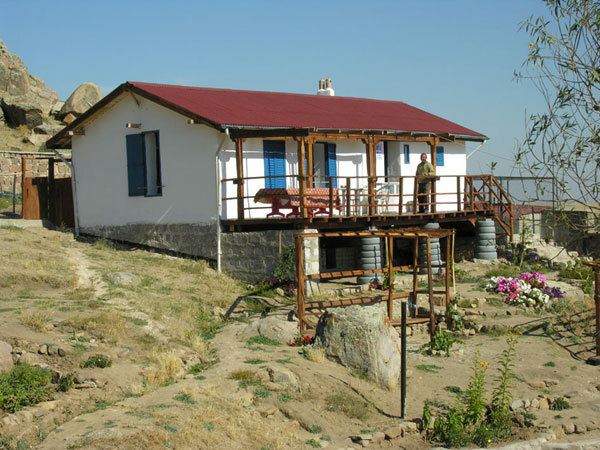 The Kerkenes Eco-Center Project was initiated in 2002 with the help of the Australian Embassy Direct Aid Program. By 2003 the concept of establishing an Eco-Centre devoted to research into and promotion of renewable energy and sustainable village life was developing. The aim is to halt, and even reverse, migration from rural areas to urban centers. Advocating an environmentally friendly approach to the development and improvement of rural settlements, the project works closely with SAH-DER (The Sahmuratli Village and Kerkenes Association for Public Relations, Prosperity, Help and Support), which was established in 2003 to promote the welfare of the village. In 2004 and 2005, with generous funding from the Canada Fund and additional funds from the Tyche/ArcheoCommunity Foundation (USA), Burdens Charitable Foundation (UK), New Holland Trakmak (Turkey), MESA, AKG and Mr Erdogan Akdag as well as help in kind from the Yozgat Governorate, The Directorate of Rural Services and the Municipality of Sorgun, the Kerkenes Eco-Center completed its first strawbale building (Fig. 4) and pursued other ongoing programs, including solid waste separation for composting and recycling, simple drip irrigation for organic gardens, reuse of grey-water and promotion of appropriate materials and design for energy efficient buildings. 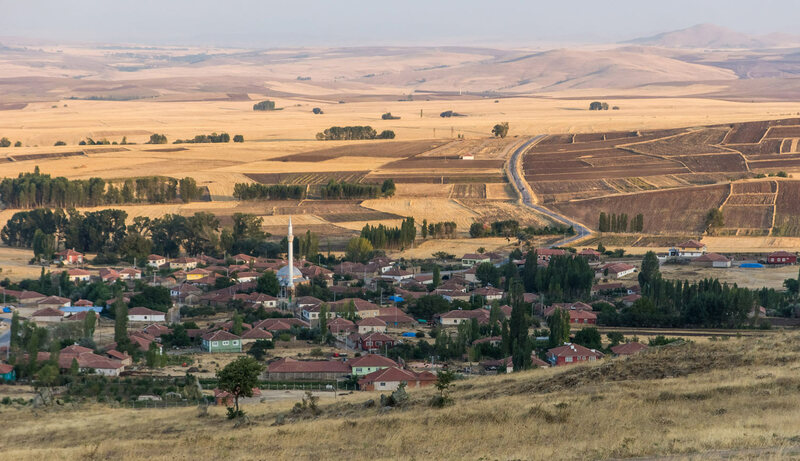 The British Council supports studies on the environmental performance of building under the Britain-Turkey Partnerships Programme between the METU Department of Architecture and the Environment and Energy Studies Programme of the Architectural Association, London. The Erdogan Mustafa Akdag Foundation is building a Center for Research and Education, with aerated concrete provided by AKG and roofing material by Onduline, to host visitors, village activities, regional events and dynamic displays on the archaeological and ecological activities of the Kerkenes Project.